Yes, I know her costume is not historically accurate – she was a commission and was specifically requested *not* to be! To be clear, I in no way blame the maker for this. He or she was following directions. But how does one phrase that request? 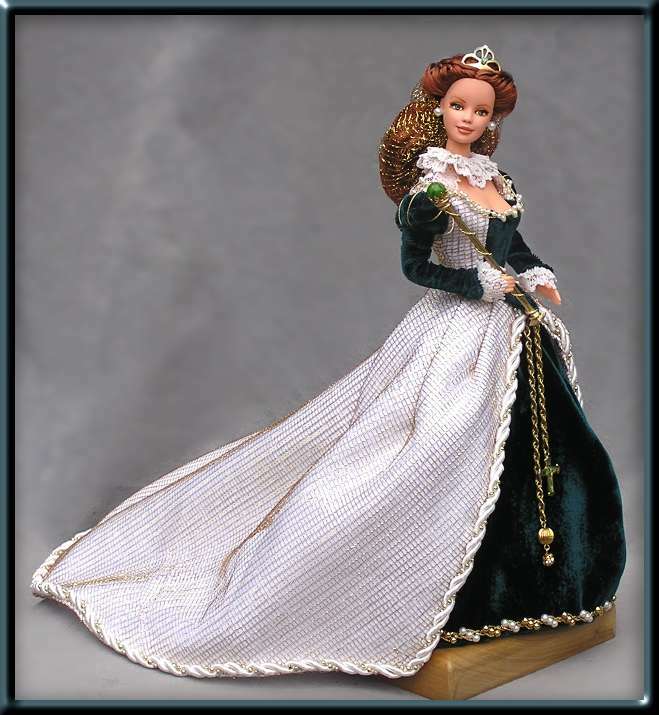 “I’d like a Mary Queen of Scots Barbie doll, just so long as she doesn’t look like Mary Queen of Scots”? And, that said, she’s still head and shoulders about the Mary of Reign, which is ironic considering she’s eventually beheaded.